The Kookaburra kahuna thigh guard is part of the famous KAHUNA brand that has helped make Kookaburra famous. The kahuna brand is known for top quality and comfort at the highest level of cricket. This piece of cricket equipment is definitely a super piece of cricket gear and im sure if you purchased this you will be very happy with it. When i was doing this Kookaburra kahuna thigh guard review one thing i noticed was just how light it was and i was very impressed with it. Impact Protection Sculptured HDF Asymetrical design. Straps: Thigh 50mm Double Sided Towel with 50mm Hook & Loop fastening, Waist 50mm Elastic with 50mm Hook & Loop fastening. Thank you for taking the time to look at this blog. You can see a full range of my cricket gear at www.cricketstoreonline.com. The new UK site is also up and live, head over there now and have a browse. www.mycricketstoreonline.co.uk.You can also reach me in the USA at 1.888.470.4746 or in the UK on 0.800.014.8141 or email me at jason@cricketstoreonline.com. The Kookaburra players thigh guard is probably kookaburra’s top of the line product. Probably the same sort of deal you get with the Gray Nicolls players range of cricket equipment. I was not really impressed with this product as it is quite similar to the kookaburra kahuna thigh pad, just with an extra material covering over it. In my opinion it is very similar to the kahuna thigh pad and probably shouldnt spend the extra money as you are pretty much getting the same product. If you have extra money, spend it on the P1 stripper or P2 stripper thigh pads from Aero. So most people don’t wear arm guards. I know when i started playing club level cricket after high school i wore one as i wasn’t used to the pace of the older bowlers. But as time went by i discarded it and no longer use one anymore. it is however a personal choice. I remember a game i should of been wearing one, the bowler was pretty quick and hit me square on the forearm. Lucky for me i gritted my teeth and ended up scoring 54. Here are some pictures of different cricket arm guards. Basically you use an arm guard for the purpose of protecting your forearm from being hit by a cricket ball. Batsman wear them whilst they are batting against bowlers. Generally speaking it is for the faster bowlers and not so much the slower spinners and medium pacers. In international cricket it is quick common for the tail enders to wear them against the quicker bowlers as they are not as good as the regular batsman. I hope you have found some answers in this short blog. If you would like to see a full range of products please go to www.cricketstoreonline.com. You can also visit my youtube channel where o have over 100 videos showing you all sorts of different products. Thank you for checking out this cricket bat review of the Kookaburra ice 200 cricket bat. This is a well priced cricket bat at $99.00. It is english willow and is suitable for lower level cricket. When i picked up this bat i found it to have a good balance and it comes in the light to medium weights. I have a younger friend that uses this cricket bat and he says he like the bat alot. 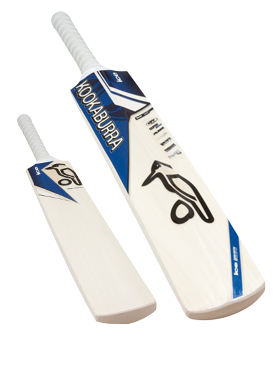 The kookaburra ice 200 cricket bat has a Large Sub-Continent style ‘Super Bow’. This is an excellent bat for front foot play and driving the ball. The willow is naturally air dried and has a 12 piece cane handle. The kookaburra ice 200 cricket bat comes with a white MAX grip and is READY TO PLAY. which means, kookaburra has pre-prepared the bat so you can put it straight to use scoring that next 100. Cricket store online will even throw in a free bat cover to keep your cricket bat good as new for as long as possible. Thanks for stopping by cricket store online cricket gear reviews. Remember to stop by www.cricketstoreonline.com and view the rest of our cricket equipment.